Soldiers of the US Army and the Royal Thai Army during the closing ceremony of Hanuman Guardian 2018. Credit: Staff Sgt Kyle Warner. 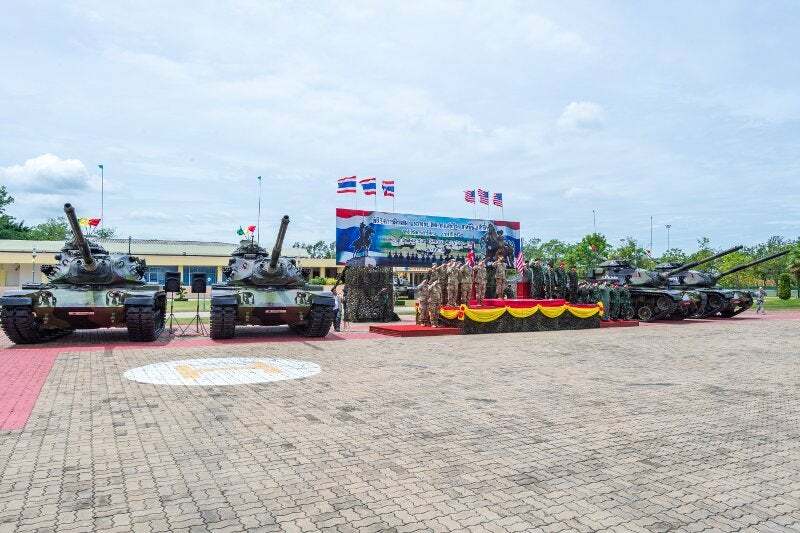 The US and Royal Thai armies have officially launched the annual, bilateral army-to-army exercise Hanuman Guardian 19 to bolster capability. The exercise will involve the participation of nearly 800 soldiers operating under US Army Pacific Command and approximately 900 Thai personnel with the Headquarters of 2nd Infantry Division and the 12 Infantry Regiment. Hanuman Guardian aims to strengthen military-to-military partnerships and mission readiness, as well as build interoperability between US and Royal Thai Army forces. 25th Infantry Division Support Deputy Commanding General brigadier general Andrew Preston said: “Building on the success of past evolutions of Exercise Hanuman Guardian, this ninth iteration continues its focus on increasing readiness, interoperability and collaboration between our nations to achieve effective solutions to common challenges. Hanuman Guardian 19 exercise will include a combined arms operations scenario and a field training exercise for platoon and squad-level elements to practice fundamental battle skills. Aviation assets, counter-improvised explosive device (IED) tactics, medical training and subject matter expert exchanges will also be part of the exercise between the US Army and the Royal Thai Army. The exercise will train the soldiers in bilateral long-range fires integration, mechanised and wheeled infantry capabilities, and logistics.